Mick Payne looks back fondly to the marathon round-Britain sidecar journey that he and partner Kate made to raise funds for research into Alzheimer’s disease, and wonder how one of the new 350cc overhead-camshaft Jawas, coupled to a much-improved Velorex Sports sidecar, would fare. It’s three years since Kate and I started our ‘trip of a lifetime’, Team Katy’s round-Britain ride with our Jawa and Velorex. We were on the road for five months and thousands of miles, and the little two-stroke performed almost faultlessly – although it did suffer that bane of the stroker, a holed piston, caused by a perished intake rubber. Thankfully this was repaired by importer David Angel of F2 Motorcycles, and free of charge too! 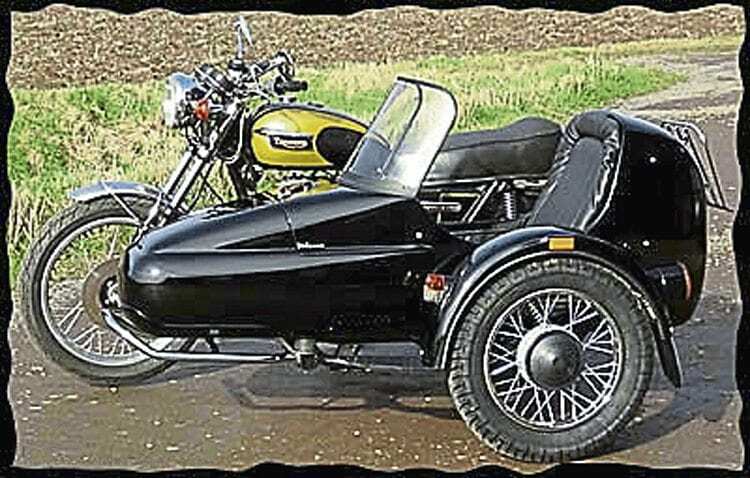 Seen coupled to a Triumph, the nice-looking Velorex GT is a good-looking sports sidecar with a brand new chassis. We started from Lincolnshire and made our way via Yorkshire and The Lakes to a sidecar rally in Scotland. Arran, Loch Ness and the East Coast followed, with a ride round the northernmost shores of the country and down to Ullapool. We then followed the West Coast as far as Applecross and went over the infamous Bealach Na Ba before visiting Skye. Scotland was crossed again, and the coast was followed southwards to an overnight in Seahouses before visiting Holy Island, where the poor outfit got a dousing of salt water on the causeway. The ‘Sidecar Soiree’ was next, with a night camping with Satan’s Slaves en route, and it was on the A1, not too far from the rally, that the piston broke! After this was put right, more great riding took us eventually to another rally at Watchet, Somerset, where the later descent to Lynmouth had the front disc glowing dull red.